The share of multifamily units built for rent rose again during the second quarter. This increasing market share for rental multifamily homes is holding typical new unit size below levels seen during the housing boom. However, as multifamily developers build more for-sale housing units in the years ahead, the average size of multifamily homes is likely to rise. According to second quarter 2014 data from the Census Bureau and NAHB analysis, the average square footage of multifamily housing construction starts was 1,153. The median was 1,101 square feet. Because the quarterly data are volatile, it is worth examining the numbers on a one-year moving average basis. For the second quarter of 2014, the one-year moving average for the multifamily size was 1,191 square feet, while the median was 1,086. These measures are only a few percent higher than cycle lows. 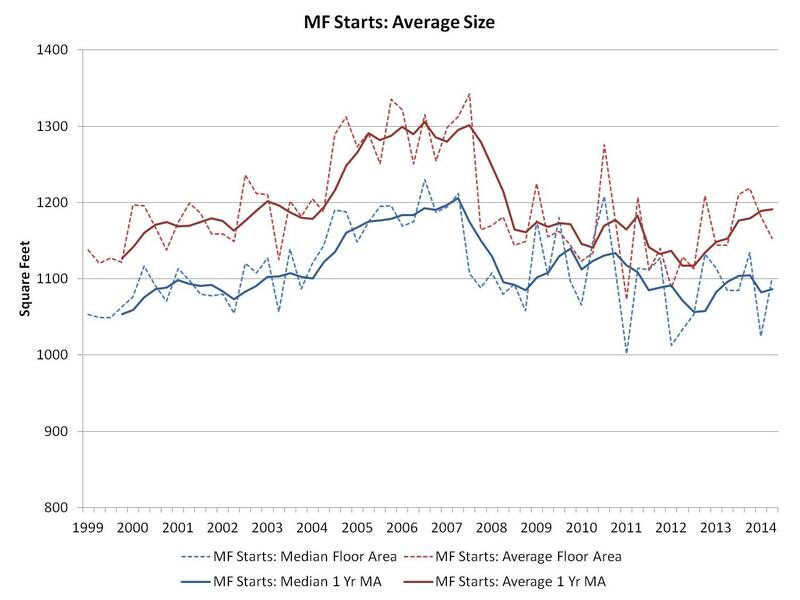 The typical size of newly built multifamily is well below the averages/medians recorded during the boom years, when the share of for-sale multifamily was considerably higher. 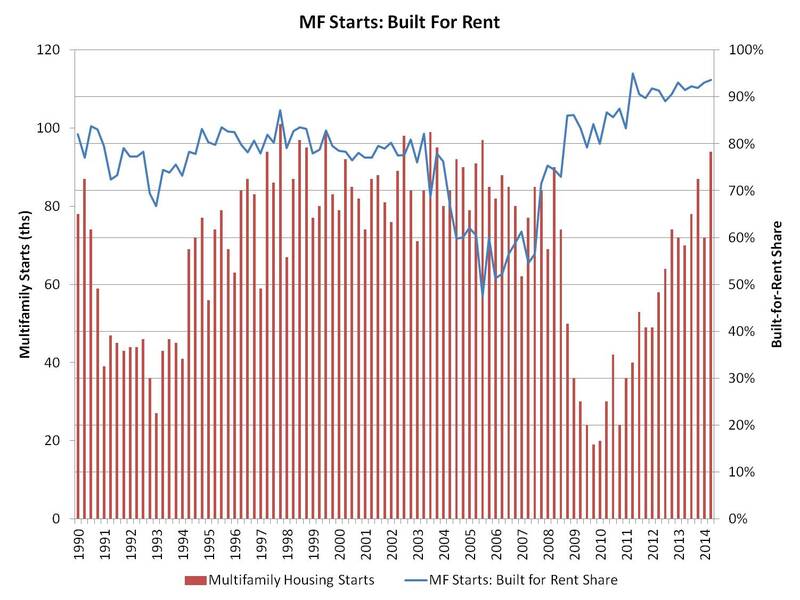 The share of multifamily housing starts built for-rent fell to a historical low of 47% during the third quarter of 2005. It is currently (94%) above the approximate 80% share recorded during the 1980-2002 period due to the ongoing surge in rental demand.